You too can be a circus star! 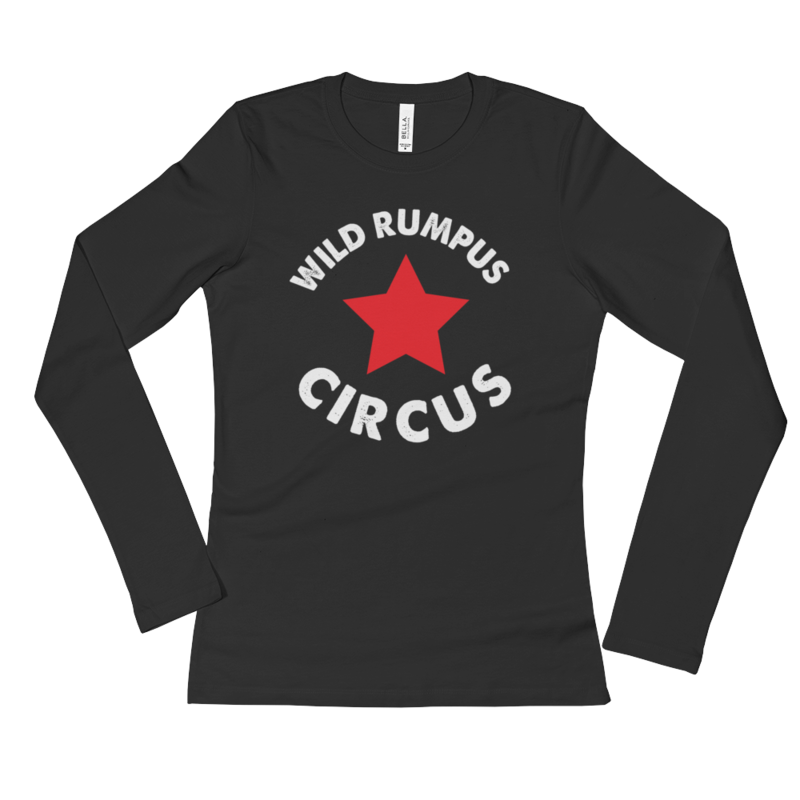 Show your support for the Wild Rumpus Circus by purchasing one of these stylish long sleeve shirts. 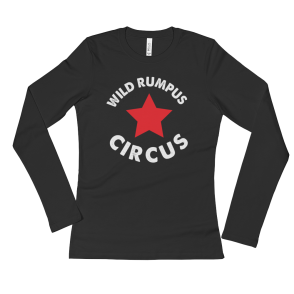 Soft cotton t-shirt with a semi-fitted contoured silhouette for colder evenings and cozy weekends. It comes pre-shrunk to make sure the size holds up with time.